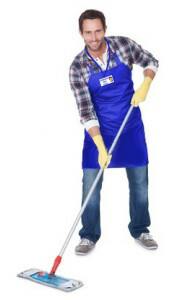 Here in Lombardo Società Cooperativa, we know well enough the needs of the Companies about Office cleaning. Every estimate is formulated, where possible, after an inspection and built on the needs of the single client. Normally, we prefer to offer our cleaning services in the offices early in the morning before opening time or in the evening after the closing time. This is the optimal way to obtain the best results In questa maniera riusciamo ad ottenere i migliori risultati both in terms of cleaning that of satisfaction. Services offered to Companies are a lot: from the first cleaning, which is performed before the periodic cleanings, indicated in case of new settlement, renovations or movings and ehre the cleaning has been neglected for some time. Office cleaning maintenance with minimun frequency of 1 time per week, which is common in very small offices with a few employees, to 7/7 services per week, to keep the office clean throughout the year. Extraordinary office cleaning, are that type of “on-call” services which may be needed for a variety of reasons. A couple of example: cleanings for promotional events, awnings cleaning, after-flooding cleaning, carpet cleaning etc. By request we also provide the consumables for the toilet, installation of dispensers and we also got an handyman for small manteinance works, which is a very apprecieted service for our clients. The Office Cleaning Staff is all regularly employed, with a quiet temper, experts in their fields and with a good problem solving, is very easy to recognize them because everyone of them have an identification badge. Integrate these with the monthly, quarterly and annual services. Are you interested in the cleaning of you flat, too? Come and take a look to our other site www.pulizia-appartamenti-milano.it to get more information about our services. Otherwise, if you are trilled about which other services we offer, this is our main site: www.ipielle.it.